I hate the American Israel Public Affairs Committee – AIPAC, “the preeminent power in Washington lobbying” today. I hate it with a strong, unadulterated passion that has been burning inside me for decades. Throughout most of these decades, there was no outlet for me to say these words or to do anything about them (Watch U.S.-Israel Relations and Middle East Policy, Free Speech Panel). I have Paul Findley’s 1985 book They Dare to Speak Out (against the pervasive influence of AIPAC) on my shelf. It looked down on me more as a cautionary tale than as an inspiration. Today, things are different, although still fraught with taboos and dangers associated with free speech against “delegitimizing” Israel, which is what the Palestinian struggle for liberation aims to achieve. Great piece, but the headline has “America’s Pro-Israel Lobby” in quotes. Why the quotes? Is there any doubt about the purpose of this powerful and monied lobby group in DC? AIPAC used to be called “the Jewish lobby” by some people. Now that was inaccurate for the simple reason that not all groups/individuals in that lobby were/are Jews, though many are. “the Jewish community’s main foreign-policy lobbying organization … The clout that Jewish Americans exercise in American politics is far incommensurate with their population”. Both anti-Zionist Jewish American groups (example, Jewish Voice for Peace) and Zionist Jewish groups (example J Street) include non-Jews in their organizations. Historic Palestine is the homeland of Palestinian Arabs of all religions, not of Jews worldwide. Speaking out against Israel continues to be dressed in tentative formats. A TRT roundtable discussion, for example, that includes speakers who call a spade a spade, nevertheless approaches Israel’s criminality toward the Palestinian people by describing its egregious actions as Israel “going too far” and posing a “debate” question, “Is Israel’s Jewish nation-state bill discriminatory?”, when a bold positive statement is warranted. There is absolutely no doubt this bill is discriminatory, as both HuwaidaArraf (a Palestinian American activist, lawyer and co-founder of the International Solidarity Movement) and Ben White (British author who has written extensively on Israeli Apartheid) conclusively show in a few sentences. AIPAC lobbies for the security of the Zionist Jewish state. The undeniable obverse of that is the continued oppression and dispossession of the Palestinian people. 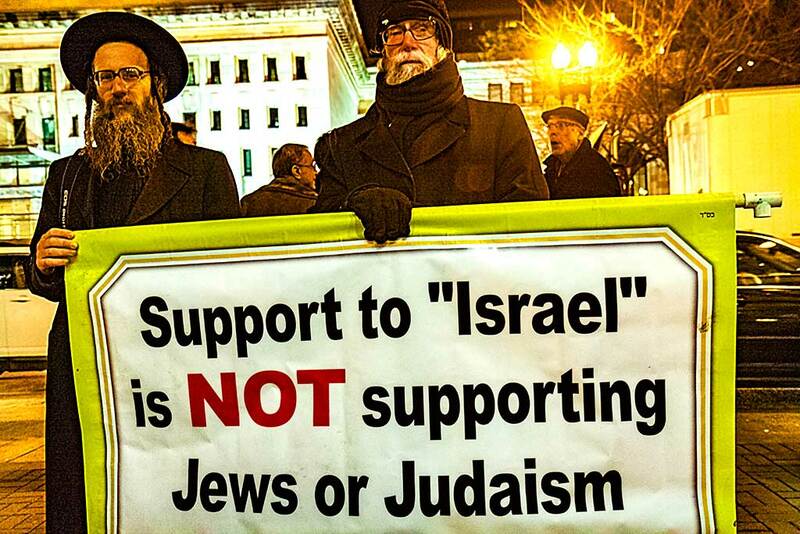 Some people believe the words “Jewish state” should be put in quotes, not because Israel is not a Jewish state in character and practice, but because there is a minority of Jews worldwide who are anti-Zionist and do not wish the way they identify as Jews to be associated in any way with Israel’s brand of religious and political Zionism. That number, thankfully, is on the increase, especially among the younger generation of American Jews, according to polls. From RamzyBaroud’s mouth to heaven.